The entire idea behind bringing supplemental health insurance was to help people of America receive assistance in catastrophic medical situations. Why I call this situation catastrophic is very simple- You buy a health insurance plan and think you are sorted. Rest is the responsibility of your health insurance company. Together these three are called out-of-pocket costs. You will need to first pay the percentage (depending upon your plan type) of out-of-pocket from your own pocket. Then will come your deductibles, copay and coinsurance to be followed- where your health insurance company will co-share with you a part of the prefixed expense. These are your small assisted plans, which will cover the costs of your end of the expenditure. Most of the time, you are misled with the low monthly premiums you will need to pay for your health insurance plans. What agents tell you is- you buy a small health insurance plan, and you are protected from tax penalties. But, what if you fall ill and seek coverage from your health insurance plan? The main drama starts here! Your health insurance company will first ask you to pay for the out-of-pocket cost and then you can ask them for assistance. And how much exactly do these out-of-pocket cost? Let us say, you have purchased a bronze health insurance plan. Your plan clearly indicates that 60% of the healthcare costs will be borne your company. However, you will need to fetch the remaining 40% health insurance costs for yourself. Assuming you plan is of $100,000, 40% of it means, $40,000 will have to first paid from your pocket. It is only after you have spent this amount, your health insurance company will come into picture. Now, did you figure that was coming? Of course not, right. And you have already bought the Bronze plan for you and your family. You thought of paying low monthly premiums would be an easy leeway for you get covered for your medical conditions. Also, you are happy you saved tax penalty. So, tell me honestly- Do you have $40,000 to pay for medical services before your insurer chips in his share? premiums and little less out­of­pocket costs. If you don’t, what’s your next alternative? Don’t panic. We have the right thing just for you. 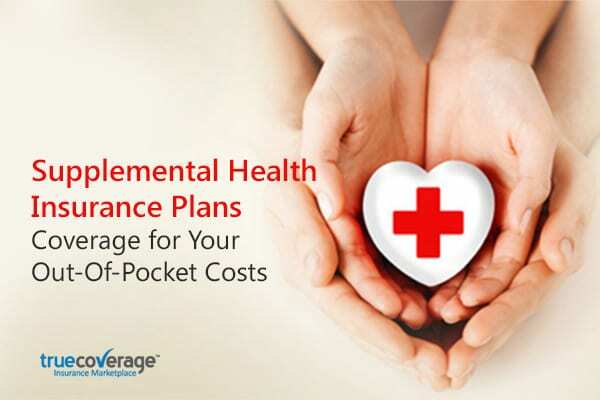 Supplemental health insurance plans are just the thing you can buy that will bear all your out­of­pocket costs, deductibles, copays, and coinsurance costs. I blog often and I really appreciate your content. Your article has really peaked my interest. I will book mark your website and keep checking for new information about once per week. I opted in for your RSS feed as well.